According to Google’s Transparency Report, the Texan author recently filed a copyright complaint for the search engine to delist a critical 2009 article published in the Guardian newspaper, “When Authors Attack” by multimedia books journalist Alison Flood. Flood’s article said that the “wonderfully batty” Sams, using the pseudonym “Niteflyr One,” told Amazon users she’d reported them to the U.S. Federal Bureau of Investigation because of negative reviews and comments she’d received for one of her books. Contents on the following websites/blog urls were taken from my private emails without my permission – after my email was hacked. Parts of my email can still be seen in whole or in part on both sites, in the blog narratives; neither site will respond to my requests for removal of that hacked email. Private email is protected by copyright, both sites know this but still post that material within their blogs, and without my permission. Seeking to verify the authenticity of the takedown request and hoping to make sense of the bizarre hacking claims, earlier this month I e-mailed Flood and Sams. 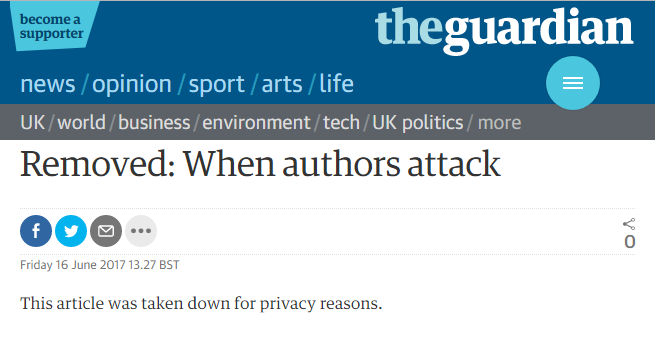 Did the Guardian delete the article as a result of my e-mail to Flood, and, if so, why? 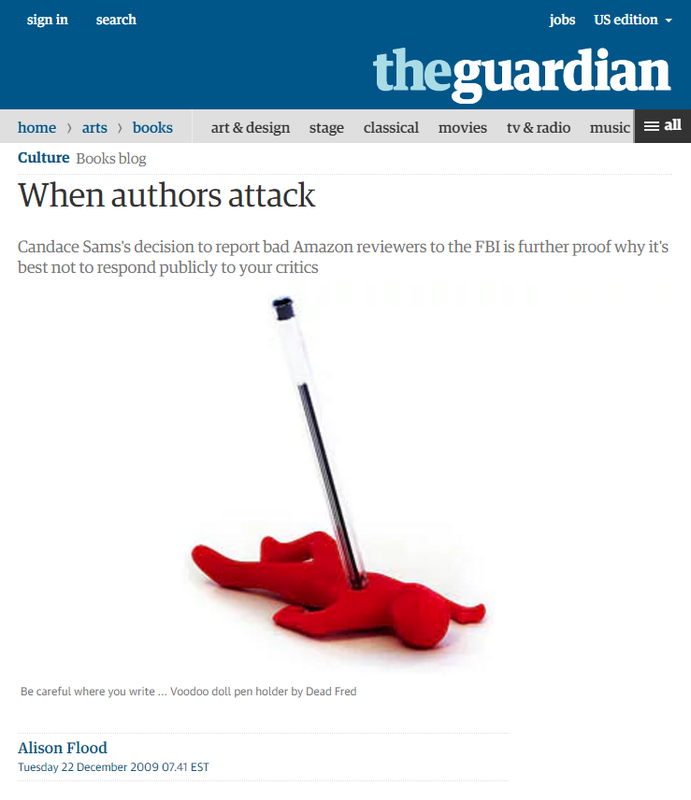 Did Sams ask the Guardian to delete the article, and, if so, why did it agree to her request? I’ve asked the paper for comment.